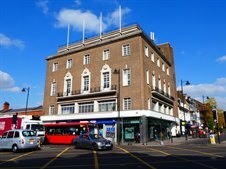 Cattaneo Commercial are delighted to announce the letting of the 4th floor of Zeeta House, 200 Upper Richmond Road, Putney, London SW15 2SH to a veterinary software company. This self-contained floor comprising 2,585 sq ft has just been refurbished to a high standard and benefits from far reaching views over Central London. Terms are now agreed on the 2nd floor but the 3rd floor is available having also just been refurbished to the same high standard to include new dedicated toilet including a shower and disabled WC, new tea station and new heating/cooling cassette units. The remaining floor comprises 3,560 sq ft and again enjoys good views over London and excellent public transport links, sitting on top of Putney rail station and within 500 yards of East Putney tube station District Line).